Welcome to Landhaus Schwaighofer - your aparthotel in the heart of nature. Experience the beauty of nature in your summer holidays in Salzburger Land and the Salzkammergut. Enjoy the numerous sports- and leisure activities: high up in the mountains or in the crystal clear, refreshing lakes. 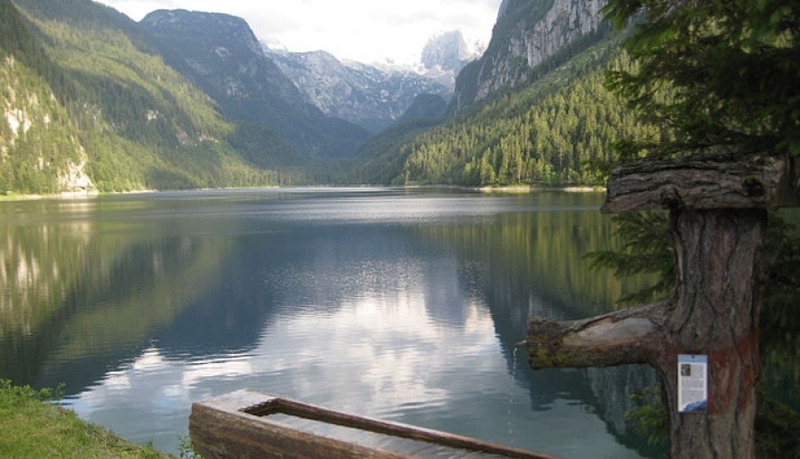 The nearby lake “Gosausee”, surrounded by the impressive mountainpanorama of the Gosaukamm. The ice on the glacier “Gosaugletscher” with the “Hoher Dachstein” glitters and shimmers in the sunlight. Routes for cycling and mountainbiking are to be found in the entire region. Rafting, Paragliding and easy up to difficult climbing tours are just a few options! Above rich green pastures sits the Gamsfeld, the local mountain of Russbach. 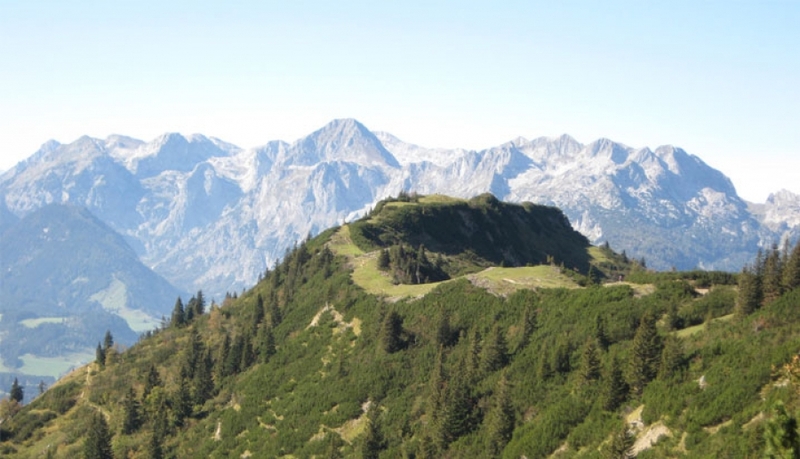 Russbach has a lot to offer: adventure and unique, unforgettable experiences! 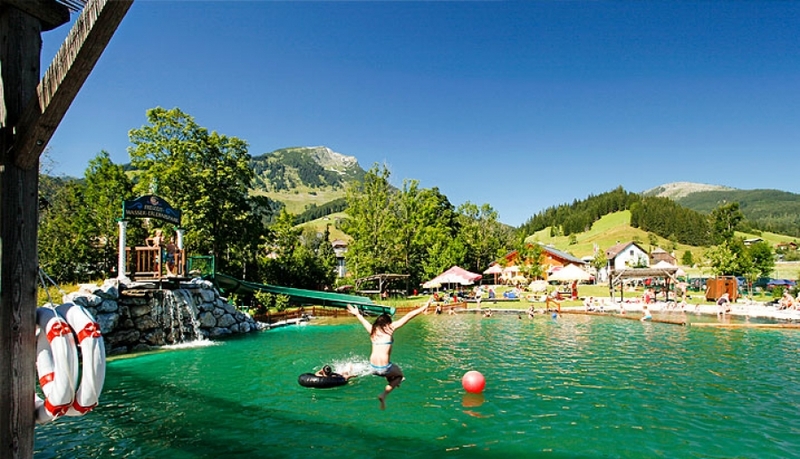 for your Summer holidays in the Salzburger Land. and many more within 50 km distance. hiking tours or biking in the outstanding nature! Whatever you choose, summer holidays in the Salzburger Land are an unforgettable highlight far away from daily routine! All other services included are listed in "OUR SPECIALS". the zoo Hellbrunn, the Mirabellgarden and many more. Hallstatt: The city of salt mining! Since more than 7000 years salt is mined. Visit the eldest salt mine in the world. Obertraun: Ice cave and the Dachstein glacier. Bad Ischl - the imperial city: visit the Kaiservilla of "Sissi and Franz"
or visit the villa of the famous composer Franz Léhar. Gosausee with glacier "Gosaugletscher" and "Hoher Dachstein"
or visit the world famous "Weisse Rössel am Wolfgangsee".